How do I sign up for a Stripe account? It is really simple to sign up for a Stripe account. 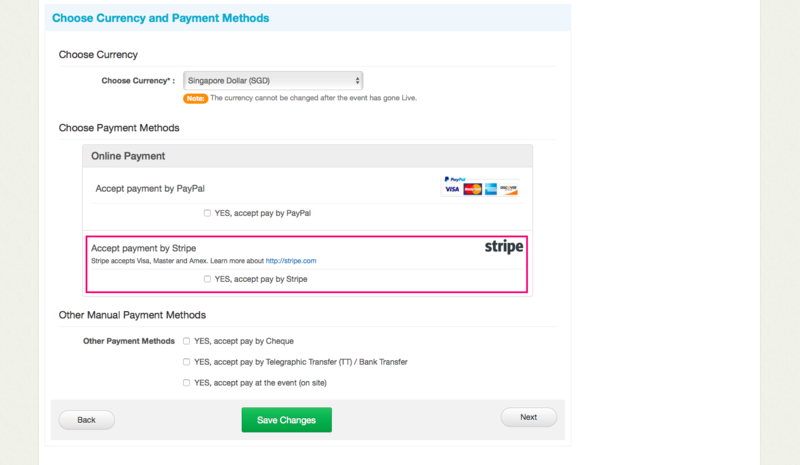 Choose Connect with Stripe option under Currency & Payment section. You will be directed to sign up for your Stripe account. Do note that Singapore event organisers have to receive a referral link in order to sign up for Stripe. You can request for one here. Alternatively, contact us at hello@eventnook.com and we will gladly send you one! 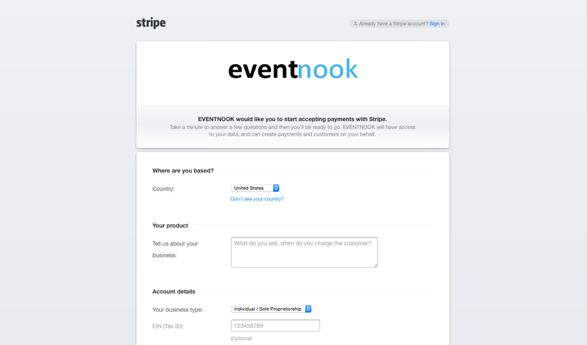 Here is a screenshot of how you can sign up for Stripe Via your event in EventNook.